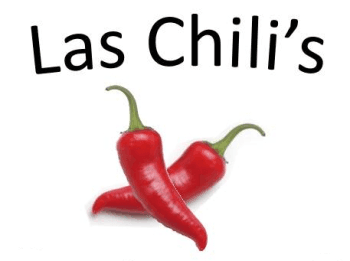 Las Chilis has been serving up Mexican cuisine to the Kansas City area for over 20 years. We are a full service restaurant catering to your every need. Come join us for lunch or dinner and experience our wide range of tasty menu items, daily specials, and delicious margaritas! Our experienced staff will work with you personally to tailor a menu that works for you. "All you can eat tacos for lunch. Endless refills on drinks. The waitress was as pleasant as can be and very attentive. The owner even made the rounds of the dining room visiting with regulars. Good food, good service and good price. Can't ask for anything more than that." "Tasty Mexican restaurant with great people working there. You get a LOT of food for the price and it's not too bland and not too spicy." "We've been going to Las Chilis ever since I moved back to the Kansas City area 3 years ago. We went because it was a texmex sort of cuisine. We enjoyed the enchiladas simply because they were smothered in cheese and sauce and just plain yummy. However, we went up to grab a bite at Las Chilis about a week ago. I wasn't diggin' Mexican food at the moment and wanted to try some of the all-American food they have on their menu. I ordered a normal olde cheeseburger and onion rings." We Cater Everything From Weddings And Birthdays To Business And Team Building Events.